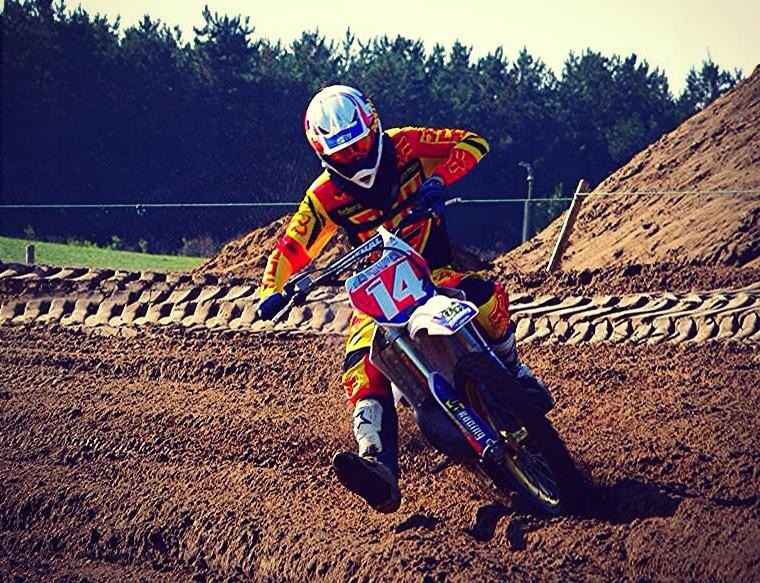 Even though the motocross season is drawing to a close, October has been a busy time on the mic! Recently I took part in the excellent Barmouth Beach Race, organised once again by Tom Arnold and the excellent Wilden team. 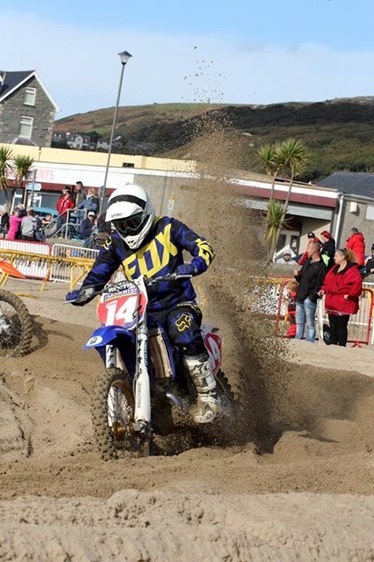 Barring a hiatus in 2011, I’ve taken part in every Barmouth Beach Race since 2009 and it really is a great weekend. For one thing it’s undoubtedly kinder on the bike than somewhere like Weston. The circuit is a lot shorter, and much like a Dutch sand venue; in fact it’s not too dissimilar to the Dunkerque circuit for anyone who has ridden there. It’s pretty demanding though, and gets really cut up and gnarly as the day goes on. Along with commentating, I was also taking part in the ‘Saturday Club’ race. Having not ridden since June, preparation was far from ideal… and I promptly had a trip over the handlebars during the practice lap, very much a Revin’ Rodney moment! I decided it wasn’t a good idea to do that again and stayed in one piece during the races. I was a little rusty in the first moto, but started using better lines later on and felt more comfortable on the bike, albeit still needing a lot more bike time! However from 40 competitors I ended up 13th overall which I was very satisfied with. My on track action was combined with commentating on some great races over the weekend, which also drew some good reviews from the local press! 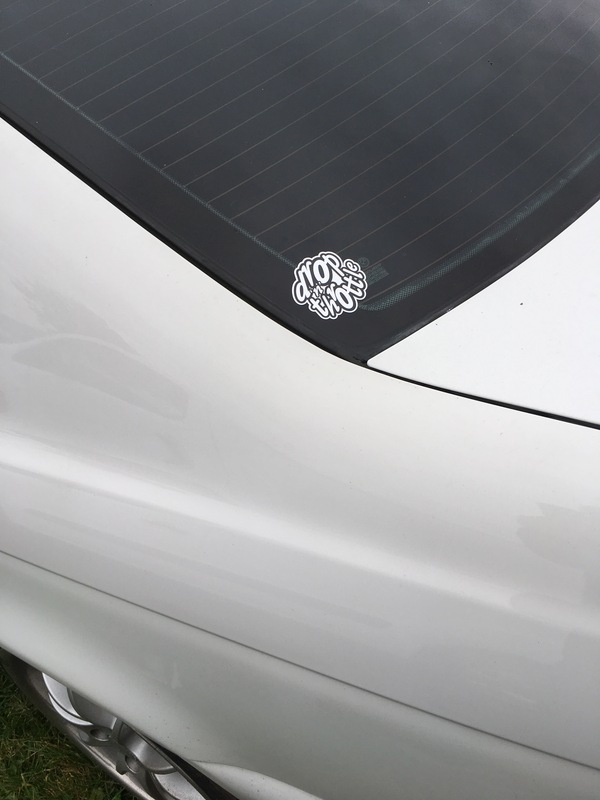 Very satisfying, it’s really nice when people enjoy my commentary and feel it helps enhance their enjoyment of the racing… as the on track action is what it’s all about! One of the things I always like to try and do on the mic at Barmouth is try and integrate the local businesses. Encourage people to visit the pubs, the shops and restaurants. I don’t know if it helps (although I hope it does), but the local harbour master liked the local mentions, and whether I helped or not it was great to see so many motocross people spending money in the town. 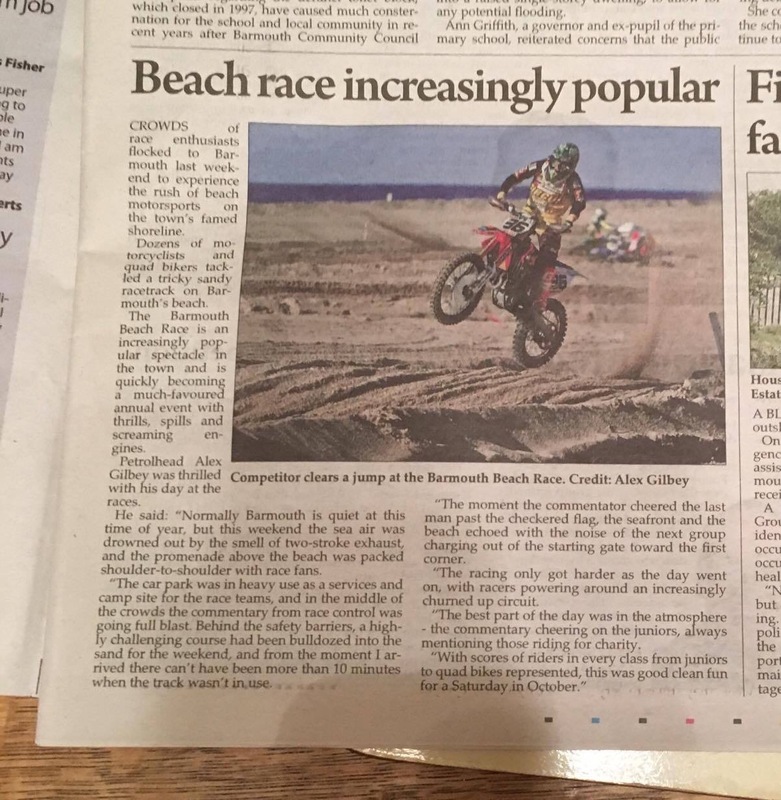 When you put noisy motorbikes in a town it’s always going to divide opinion and I dare say some locals probably don’t want the beach race there. But generally local reaction seems positive, and if it helps provide a local tourist boost during a quiet time of the year, this can’t be a bad thing. 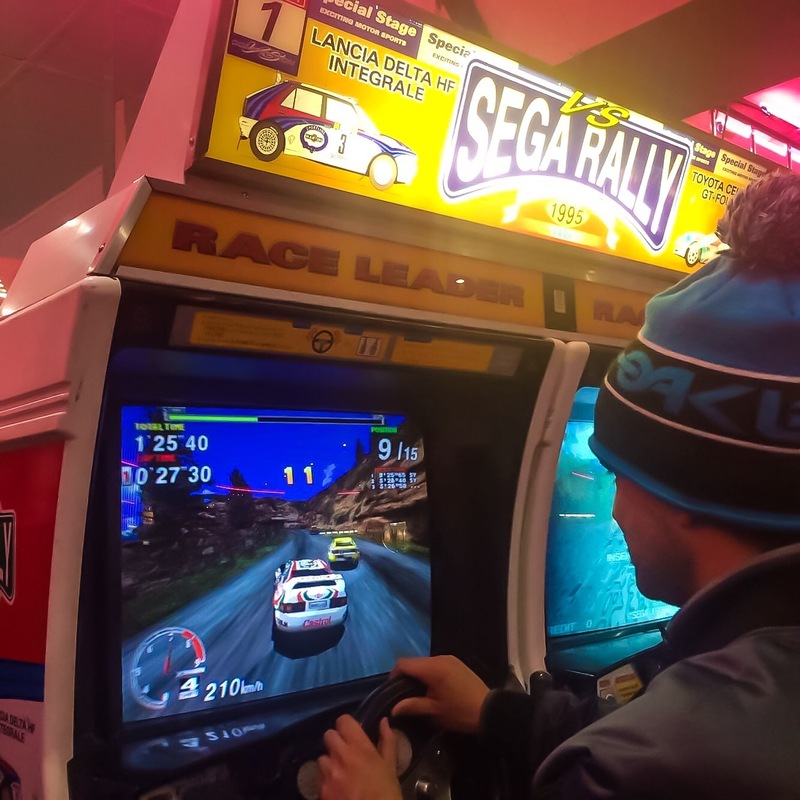 … also in the Sandancer arcade they still have a 1995 vintage Sega Rally machine, one of the best racing games ever! I simply had to pay it a little visit! 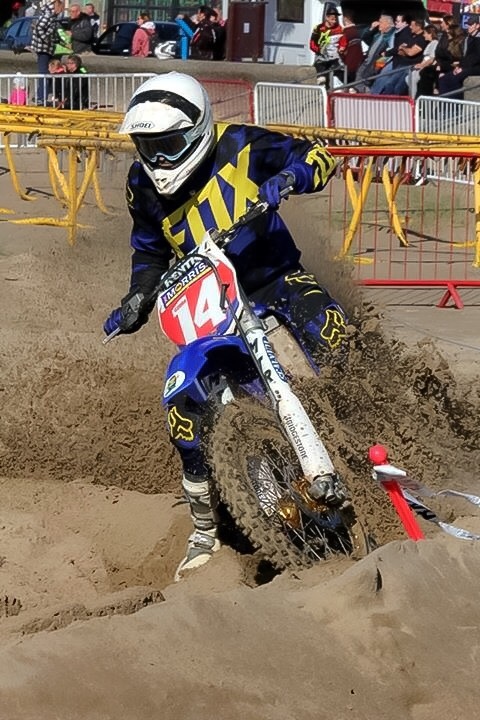 This is a team event for ACU affiliated motocross clubs, so called as it attracts clubs from across the country. Mildenhall is a favourite of mine, really neat circuit which is always excellently prepared by Cliff the track owner. And I do enjoy commentating on team events, only a few weeks ago I was at the excellent ORMS team event at Milton Malsor. I briefly digress here as it was a real pleasure to be back commentating at an ORMS event, and it was a lot of fun! Back to Mildenhall though and like usual for a team event, it had a very different attitude, with the fancy dress wigs, team colours, airhorns and I’m sure even a chainsaw motor! The Cumbria team had their moments but East Anglia had the edge over the other teams, especially with a very strong Auto and 65cc squad. East Anglia are a nice bunch, and it’s been a pleasure to commentate at their Summer meeting over the past two years. I can’t let East Anglia go without mentioning little Wal Beaney in the 65cc class. He was running away with things in his class, winning all of his races and leading the final moto until he got out of shape on the finish straight and had a huge crash, bike and rider cartwheeling at high speed down the track. It was horrible to watch, and it was a relief to see that Wal was OK, albeit looking extremely shaken. It seemed like his race was over, however after taking a few minutes to regain his composure, he went back to his bike and finished and race, picking off a few tail enders. Anyway it transpired that Wal ‘won’ the 65cc class by one point, the handful of points he salvaged by finishing the last race being enough! There were no individual awards with it being a team event but just goes to show why it’s always worth trying to finish the race! I once again stayed the Lord Mayor’s Cottage guest house just outside Mildenhall. It’s a great little guest house and very comfortable to stay at. The owners are very hospitable and cook a fantastic breakfast! In terms of hotels you tend to know where you are with the major chains, out of them all I do especially like Holiday Inn. But quite often they are either not an option or very expensive. Which is where it’s nice to find a nice local hotel / B&B of which Lord Mayor’s Cottage is one of my favourites! And it’s nice to support local businesses sometimes as well as the big chains. It was great to be invited by Mid Sussex to Mildenhall, they’re a nice group of people and I enjoyed it. Hopefully I’ll be convering their main club event next year at Canada Heights! 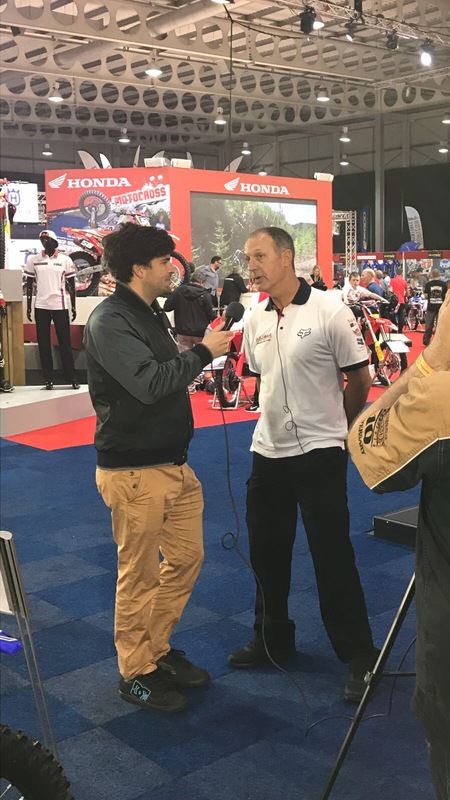 The month was rounded off with a visit to the Dirt Bike Show, where I helped film an advert for the show, and also did some interviews for Motors TV. 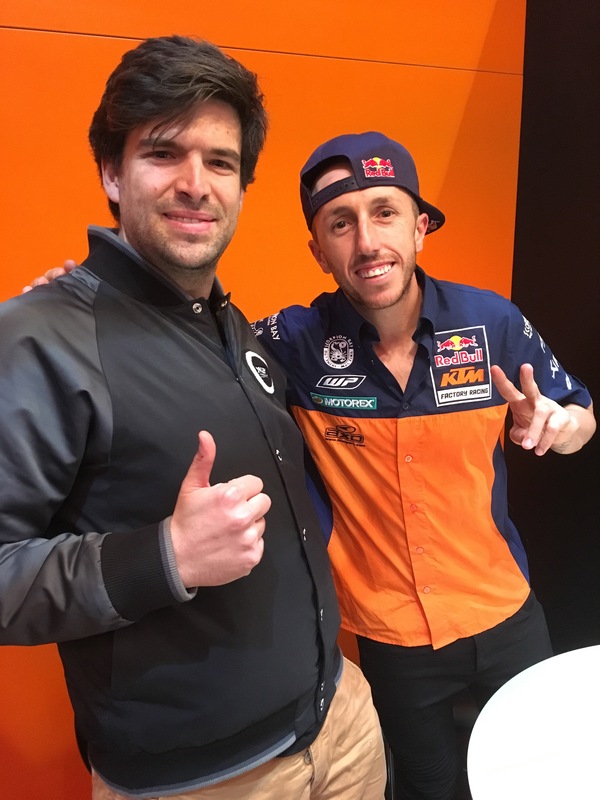 I was honoured to interview Antonio Cairoli, everything was all a bit rushed as we only had a small window to interview him before he left, but it went really well. It was surreal being rushed into the KTM VIP area and having a post interview chat with him! Later I met one of my commentating idols, Jack Burnicle. He remembered me and even invited me and my sister for a spot of lunch with him and Chris Sprawson. 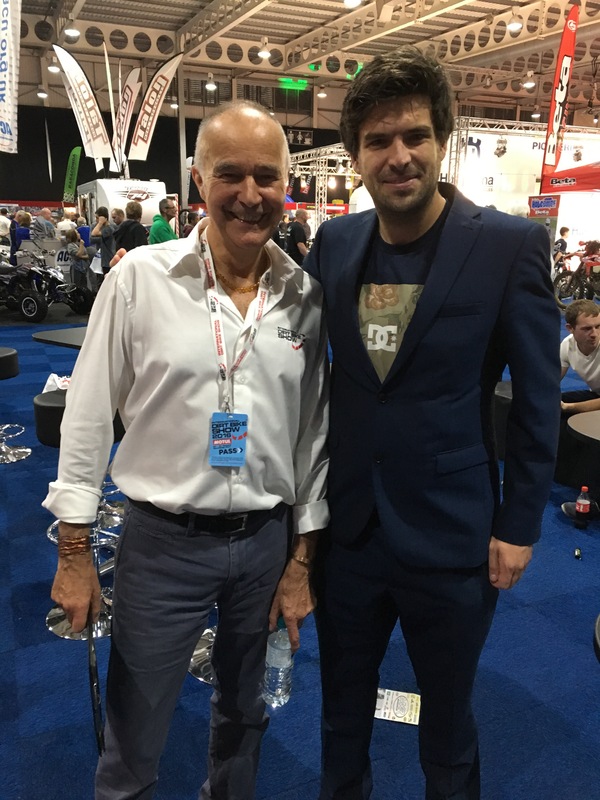 For many years Chris was the paddock co-ordinator at the British Motocross Championship, he runs a tight ship and is a great paddock announcer! It was nice to then have a look around the show, I took my sister along and it was a great day! As a punter it was good to have a look around and picked up some cool clothes which are worth a mention. Firstly, remember boot gaiters? Big in the early 80s and covered your boots. My dad (still racing) was racing in the early 80s and thinks they look stupid, I disagree! Plus they’re ideal for preventing your boots getting clogged up with mud when the track is wet. Anyway there’s a new company called 250 London who make a cool range of 80s influenced riding / lifestyle gear (including the gaiters) and some very cool jerseys! 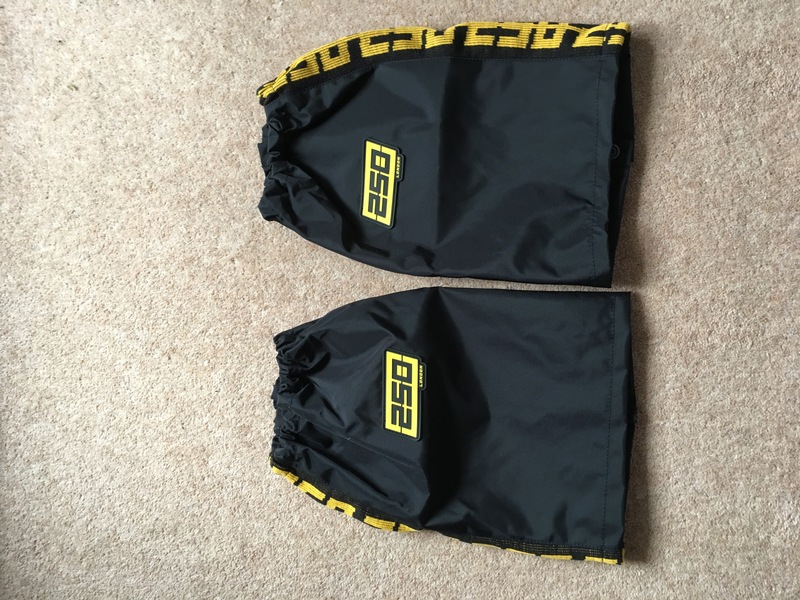 I also purchased some very comfortable jogging bottoms from Drop and Throttle, a new company by Liverpool that produces lifestyle and gym clothing. I’ve already seen this company getting its prescence out near me in North Wales / North West, and it’s great to see. 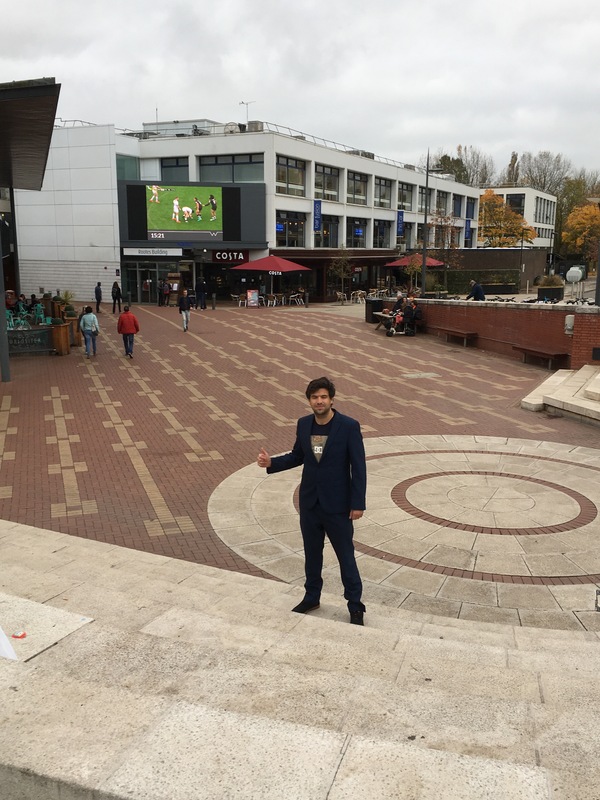 Stopping by at Warwick uni on the way back! Things were rounded off with a visit to Whilton Mill in Northamptonshire for the final round of the British Minibikes series. I’ve been commentating on the BMB highlights show on Motors TV all year but this was my first live commentary. It’s a great series to watch with some close racing, check out the website for more details! I enjoyed my foray into ‘tarmac sports’, I’ve raced at Whilton Mill in karting before and it’s a decent little track. I also was filming a web broadcast all afternoon for the BMB Facebook page! I’m back there on November 13th for the first round of the BMB winter series, where there will also be a live Internet show being broadcast from the track. This will be one day after I’ve completed a made for TV rental karting event I’m helping organise at Sutton Circuit. The show will be broadcast on Motors TV possibly in early December. As far as I know it’s the first ever show featuring rental karting in its own right and I hope it goes well!